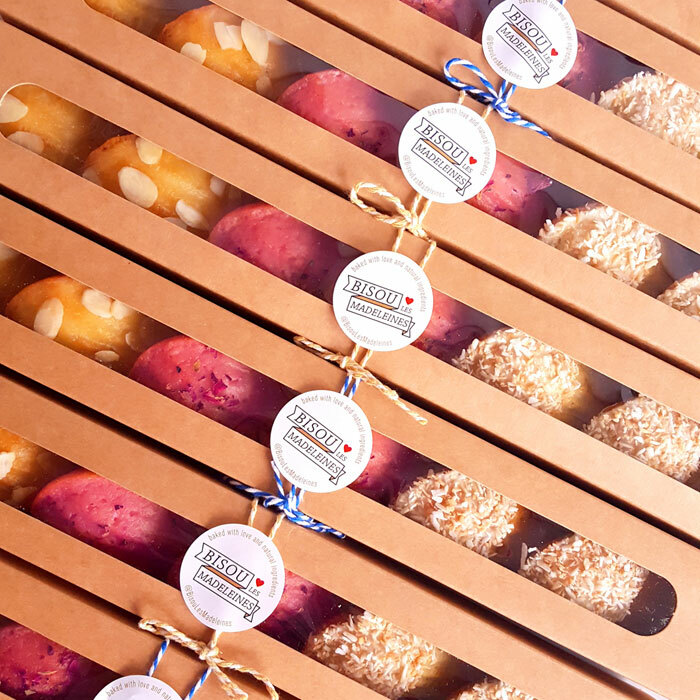 Bring eye-catching delicious treats to your next event! 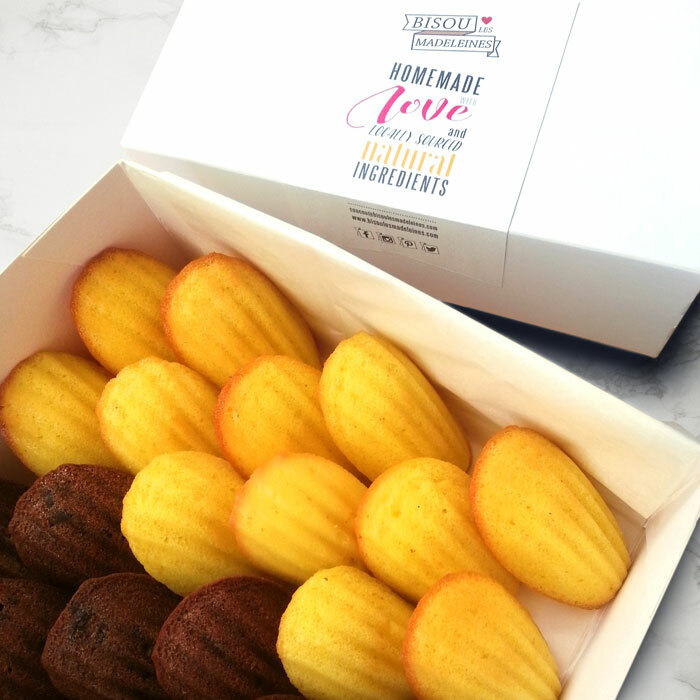 We guarantee freshly baked product delivery, so you can enjoy our Madeleines at the top of their freshness! 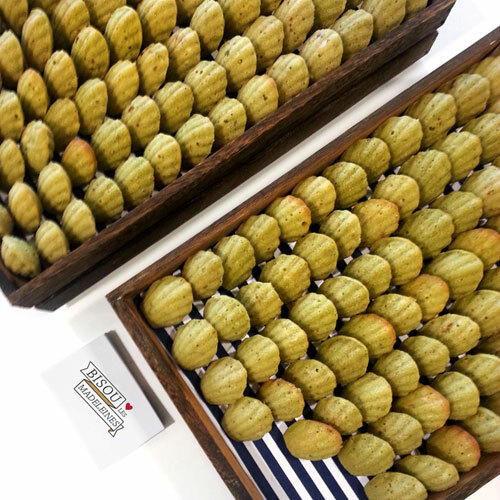 Whether you’re looking to order 24 or 2,000 Madeleines, we have a range of bespoke options to suit all your needs. Nothing is too big or too small: we can work to any budget. 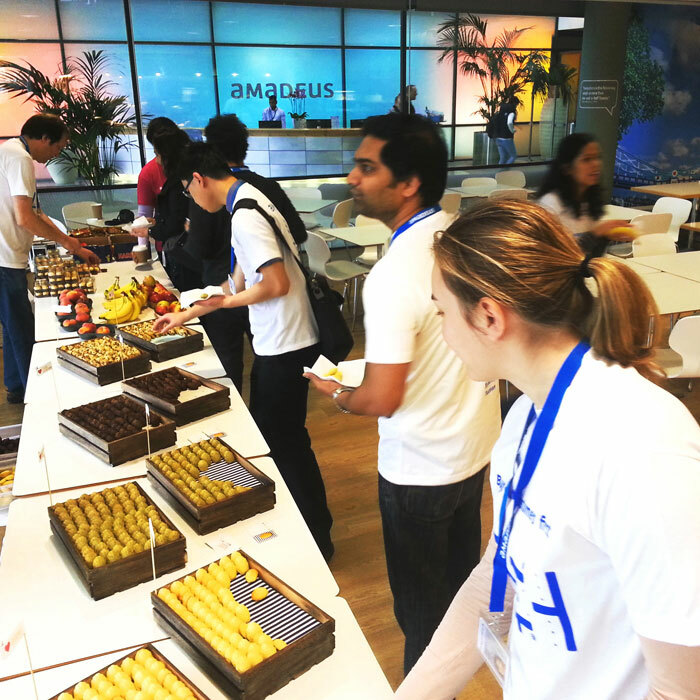 Our flavours, design and display can be personalised with your branding and event’s theme. Contact us and let’s combine our talents! Make your corporate gifts memorable adding a personal touch with your branding or personal message. Personalize the wrapping around the boxes printing your logo or campaign branding. Add a custom note with a card tied around each box. Print you personalized stickers outside or inside of all of our boxes. 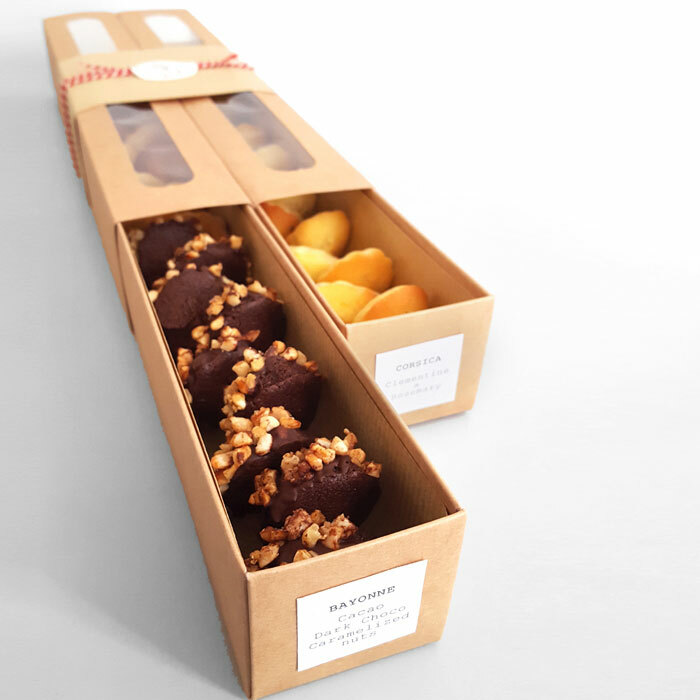 Madeleines gift box. That’s a perfect way to give your clients a full promo experience. Send us any idea you may have, and we will for sure find the best packaging solution! 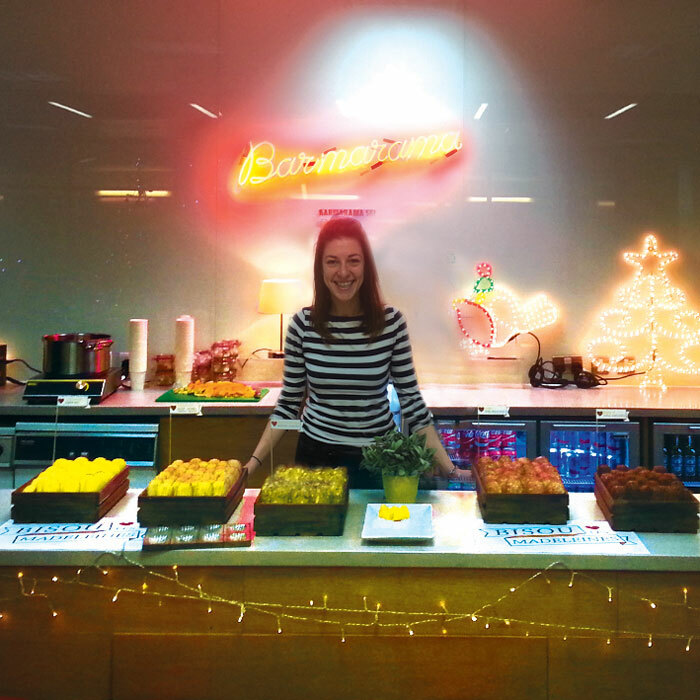 BISOU cakes and confections are a feast for the eyes and tastebuds! We’ll work together to make them match your colour schemes, specific flavours, and personal messages. 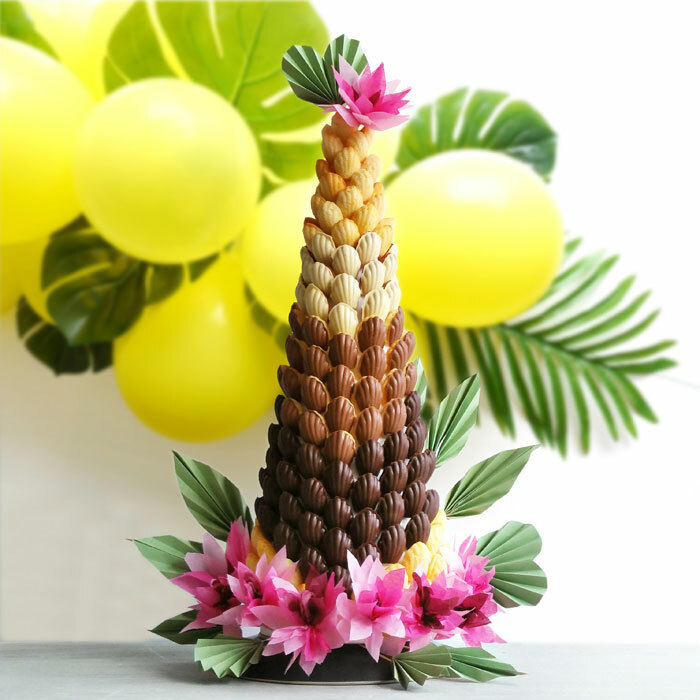 Whether you prefer a Croquembouche for a spectacular center-piece, a wooden crates display for sweet table, or even ‘Le bar à Bisous’, we have a solution for large events and intimate parties that will work with your budget. 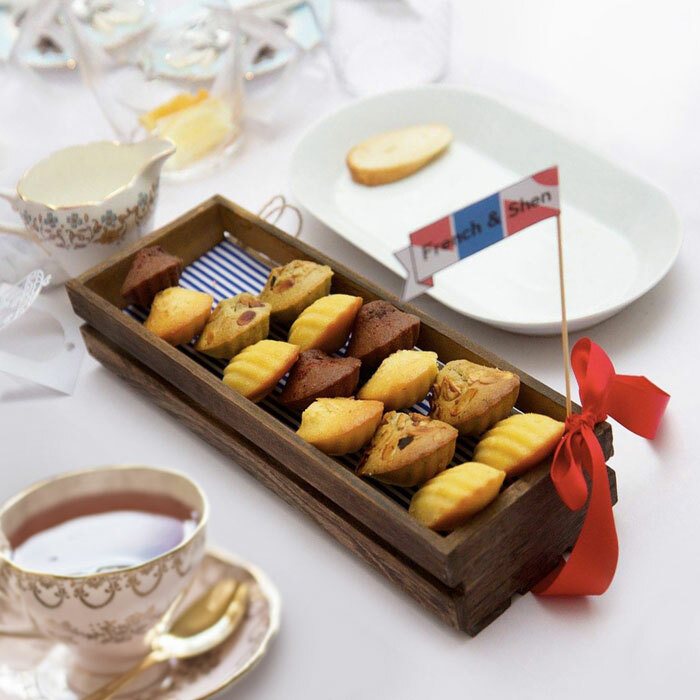 Our Madeleines are also perfect as wedding favours. 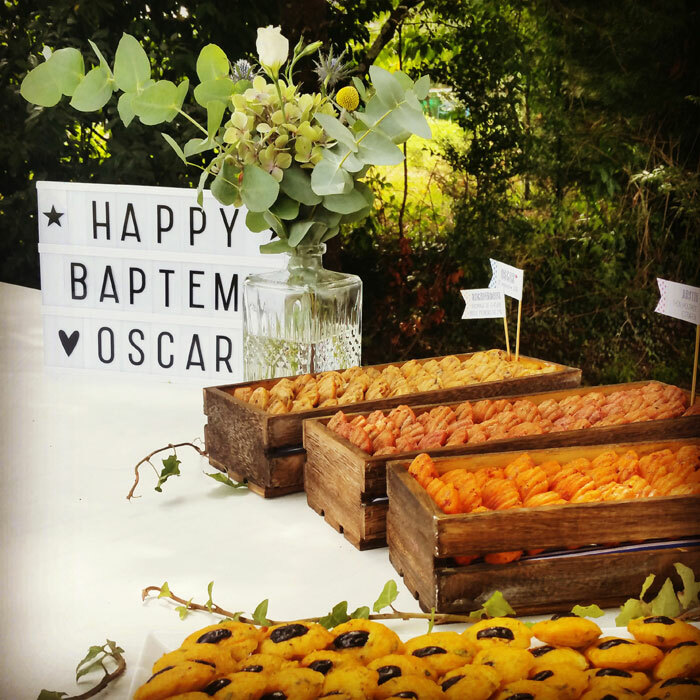 Check out our Instagram that can give you some ideas, and let’s make your special day unforgettable!